TV with Thinus: Showmax gives DStv Compact Plus and DStv Compact subscribers a free 2-month 'test drive' to sample the video streaming service. Showmax gives DStv Compact Plus and DStv Compact subscribers a free 2-month 'test drive' to sample the video streaming service. MultiChoice's Showmax is giving DStv Compact Plus and DStv Compact subscribers a free 2-month access period to the subscription video-on-demand (SVOD) service, on the condition that they're first-time Showmax add-to-bill DStv subscribers in South Africa. 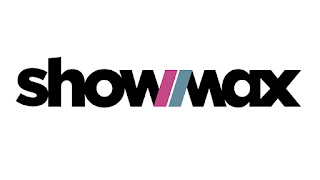 Between 7 February and 7 April, DStv Compact Plus and DStv Compact subscribers who have never sampled Showmax by adding Showmax to their DStv subscription, can do so and get access to Showmax for 2 months for free. Showmax is priced at R99 per month. In order to access the 2-month free subscription, DStv Compact Plus and DStv Compact subscribers must go to Showmax's website and sign up. After the 2-month period, DStv subscribers who don't cancel the service will be charged monthly at the discounted rate of R49 per month. Showmax requires internet access and consumes data and the cost of data is not included in the offer and Showmax says the "free test drive" can be cancelled at any time."